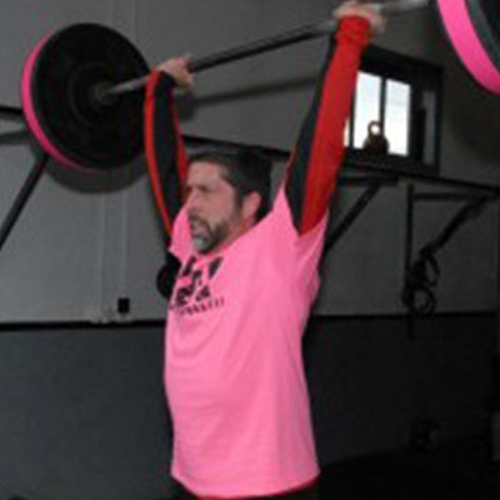 Pat came to Crossfit from a Martial Arts background with over 20 years of experience as a student and instructor. He played Rugby in college and for teams in New Jersey and Albany; and in a past life, he was a high school teacher. Pat works for the New York State United Teachers union as Assistant Manager of Member Benefits overseeing its coordinated communications efforts. He has been CrossFitting since November of 2008 and favors the longer Metcons with bodyweight movements.